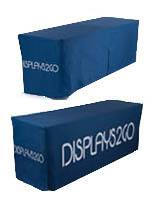 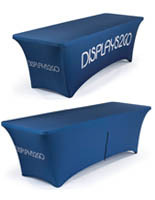 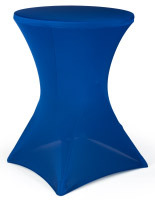 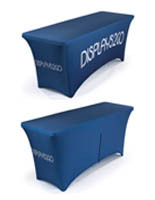 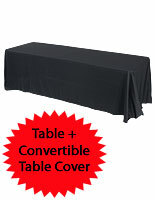 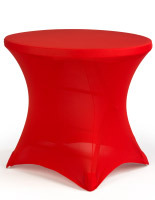 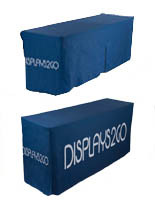 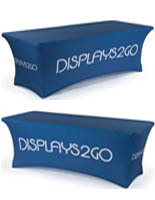 Looking for tables with covers for your restaurant, catering company or portable trade show needs? 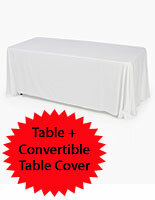 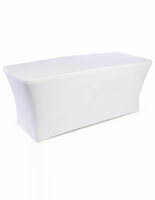 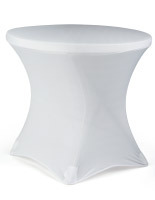 Look no further than our large line of fitted linens for a variety of tables. 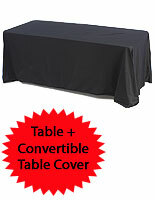 The tablecloths are perfect for disguising less than appealing tables or creating an eye-catching display and clean place for dining! 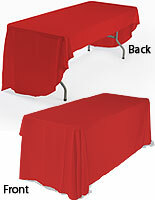 The tables come with a custom cloth that fits perfectly. 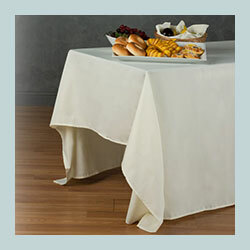 The linens are made to be durable, easily cleanable and portable. 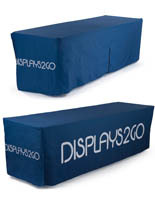 The polyester material is flame resistant, machine washable and wrinkle-free. 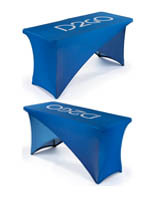 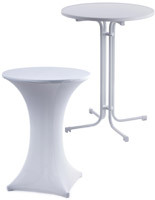 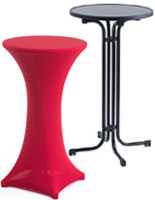 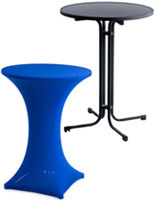 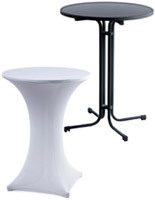 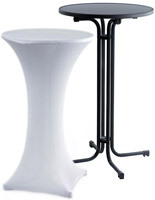 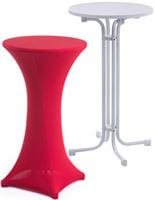 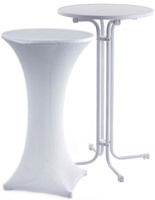 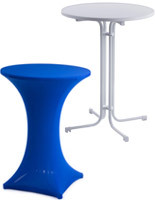 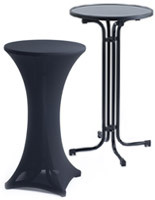 We carry different sized tables based on the needs of your trade show display or banquet settings. 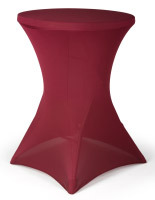 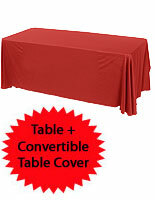 The combo table and linen set is great for weddings, parties and corporate events. 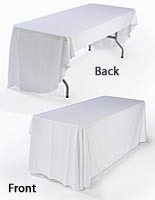 If you’re looking to upgrade your plastic tablecloths, these linens are the perfect way to spruce up your dining or retail display. 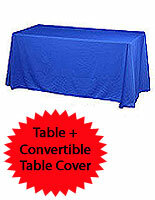 What makes these custom linens different from other tablecloths? 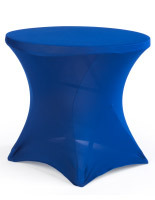 The polyester design is made to be ultra-durable and strong for reuse. 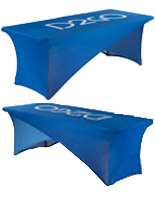 The material is completely machine washable for easy cleaning. 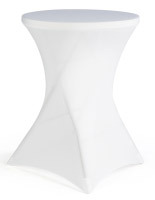 The linens can be tossed in any machine instead of being brought to a dry cleaners. 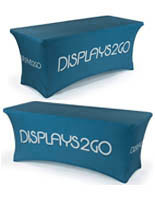 The wrinkle-free design makes these perfect for portable use as well as perfect presentation even after being washed and folded. 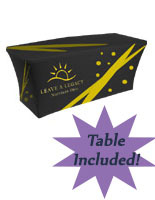 The custom sizes fit the table that comes with the fitted cloths for a seamless and neat presentation. 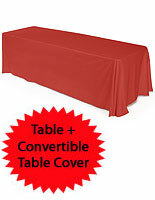 We offer several styles and layouts for your event and linen needs. 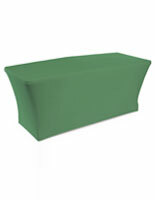 The standard throws are plain and come in basic colors. 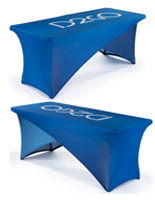 If you need a more custom banner printed to go with your table, we offer custom printing as well. 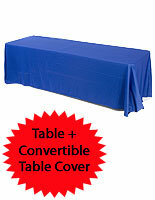 The pleated tablecloths hang down in front of the table allowing you the option to place extra materials or products beneath the table and out of sight. 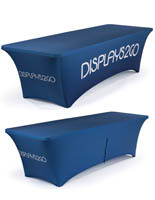 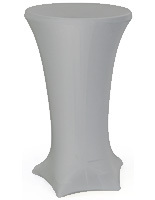 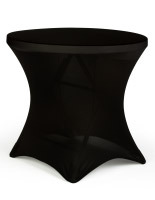 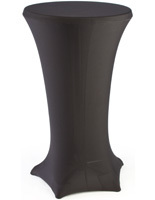 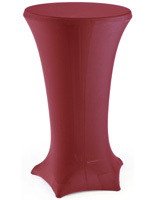 The differing sized tables are perfect for buffets, trade shows, restaurants or venues. 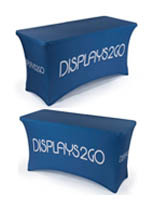 The dyed images are great for attracting customers and guests to your trade show booth or demonstration center! 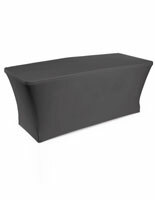 Choose the styles that best fit your commercial or retail needs and order at wholesale prices to make the most of your budget!